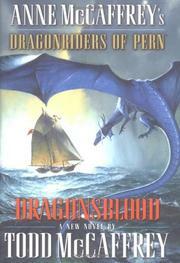 Son and collaborator Todd’s first solo Dragonriders of Pern novel, with mother Anne’s introductory blessing. The Red Star, Pern’s sister planet, always returns after 50 Turns and sends its Threads to exterminate all organic life on Pern. Though destroyed in an earlier novel, the Red Star is here again, back in AL 58, once more threatening a devastating invasion of Threadfall. Dragonrider factions of different wings find they must get along if Threads are to be gobbled up midair or killed in the ground. Again there is much dragon lore to take in, especially about birthing, care of eggs, and the aging of dragons. New readers may struggle for their footing as the story switches between two periods. In AL 508 the dragons are nearing extinction as their DNA winds down. Verses about knowledge in a hidden room, which must be rediscovered if the dragons are to be saved, suggest that help will be found in AL 58, 450 years in the past. On hand in AL 508 is youthful artist and harper Lorana, an orphan, and in AL 58 the elderly healer Wind Blossom, whose mother bred the first great dragons from little fire-lizards. Series fans were not all that delighted with the joint effort Dragon’s Kin (2003), which had inconsistencies with earlier installments, but the saga can probably coast on its affectionate readership.